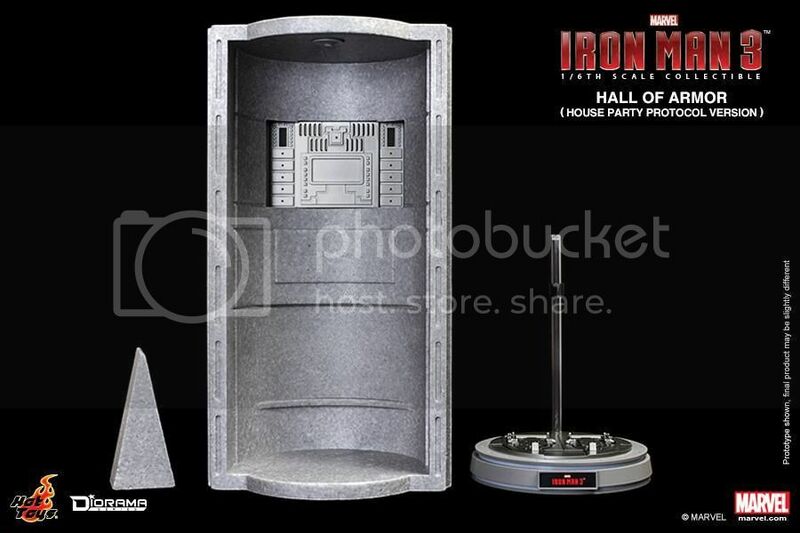 Straight from Hot Toys-Secret Base FB page, Hot Toys announced Hall of Armor (HPP ver.) 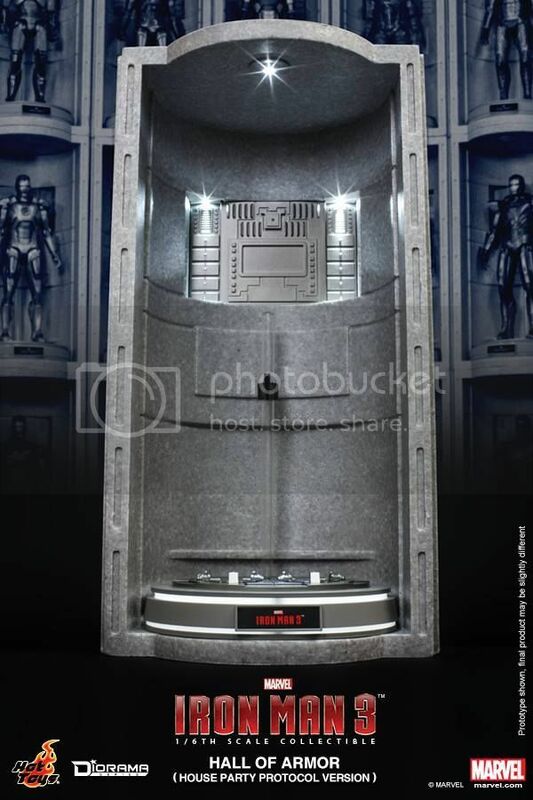 from Iron Man 3 film. 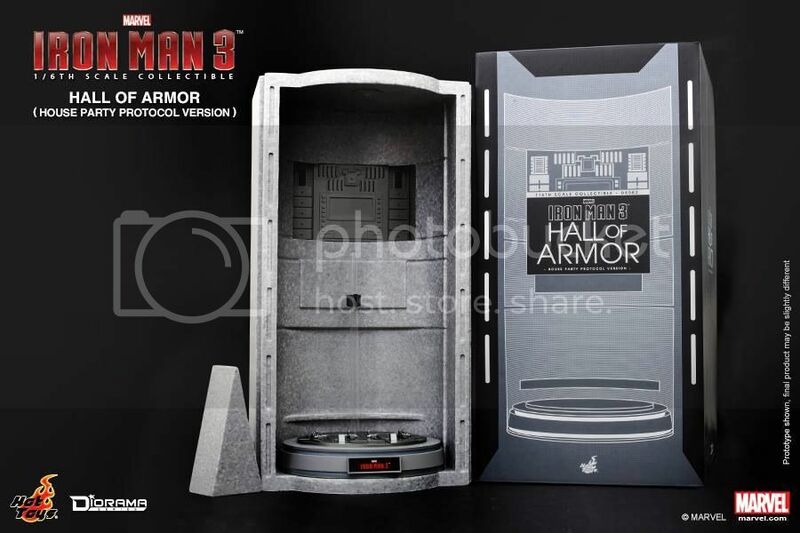 The material has not been confirmed but speculations point to same styrofoam material used for their Die-Cast line packaging box. This is due to lowering price for both individual and whole set (42x). 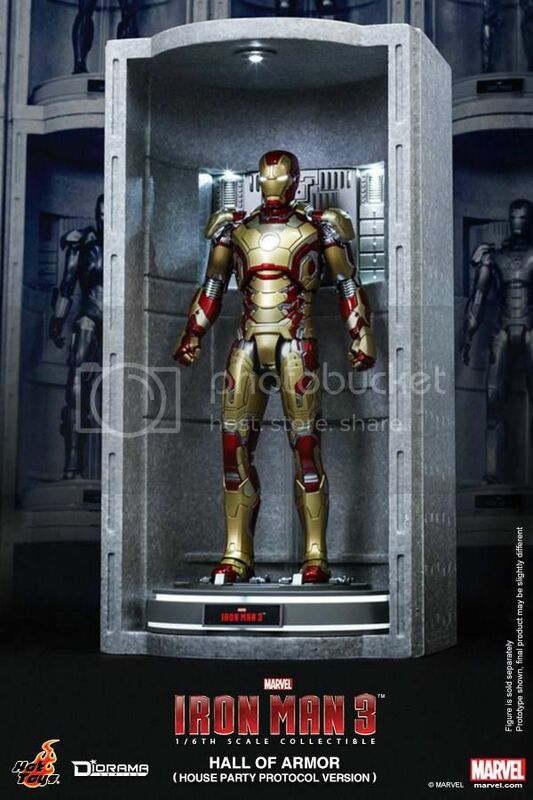 Some interesting note from observing the provided pics, you can see that there are couple unreleased/unannounced Iron Man armors already displayed. 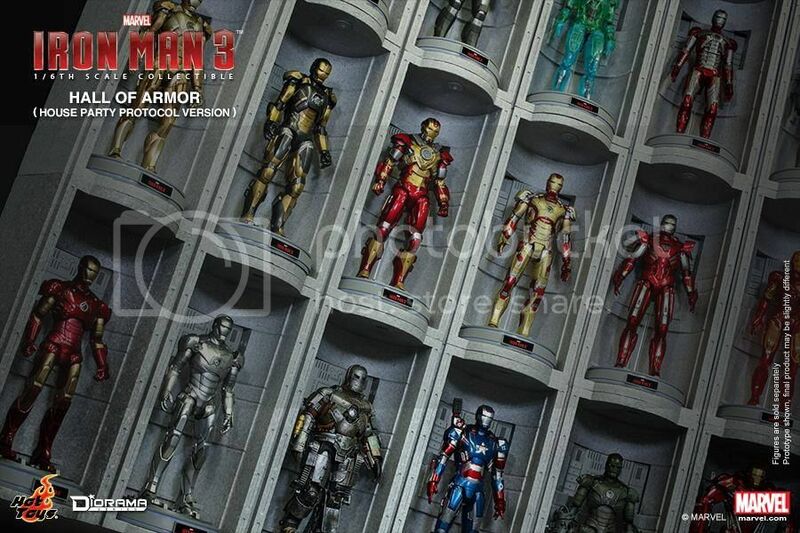 Looks very promising that Hot Toys will indeed keep their promise and plan to release all 42 armors. 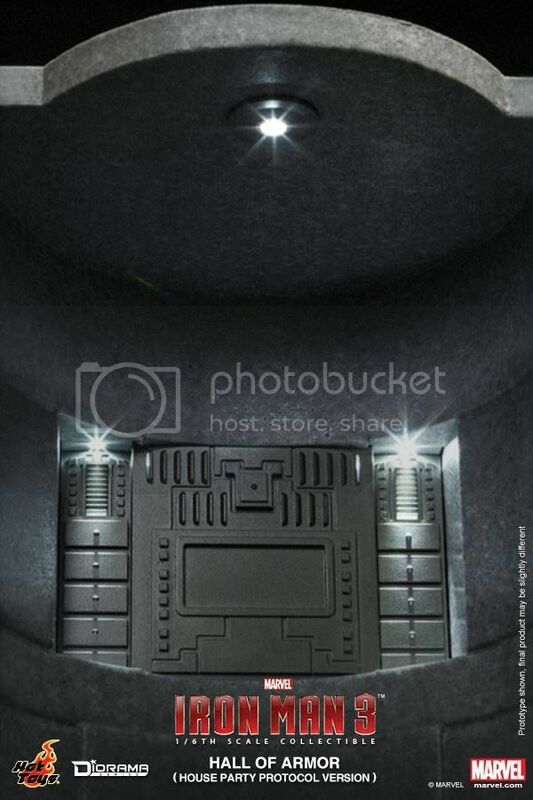 Another interesting but unconfirmed is that Red Snapper armor is displayed barley fitting inside. From specs provided by Hot Toys and SideShow confirmed is that Igor MkXXXVIII is 16.5" tall, 3 inches taller than the Red Snapper! 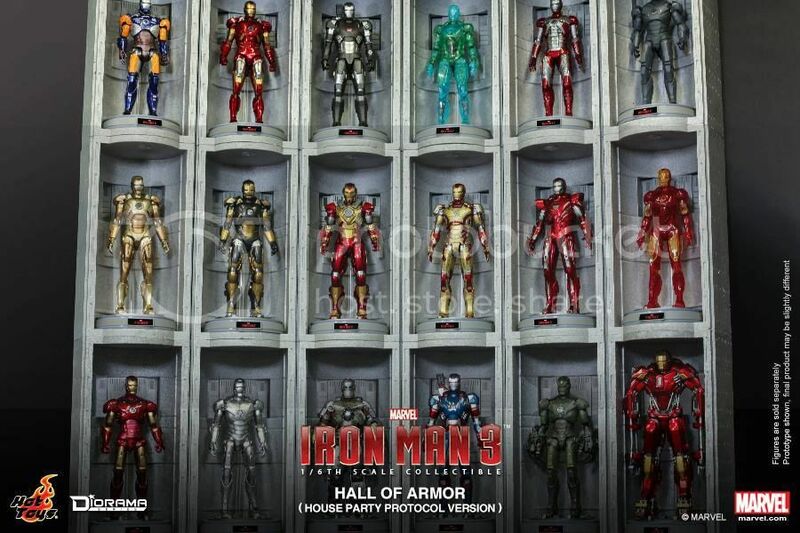 Pics of Igor is also not displayed standing in one of these new hall of armors yet. 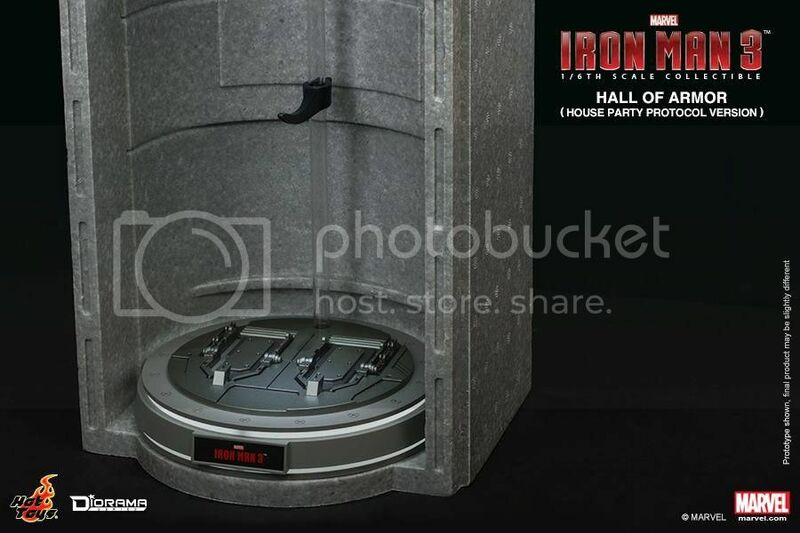 This could mean that Igor may not be able to fit OR there will be special Hall of Armor just for Igor. Again this is from pure speculations. Fans in Hong Kong can firstly purchase it directly at Hot Toys’ booth (F02) in the 16th Ani-Com & Games Hong Kong from 25 – 29th July! 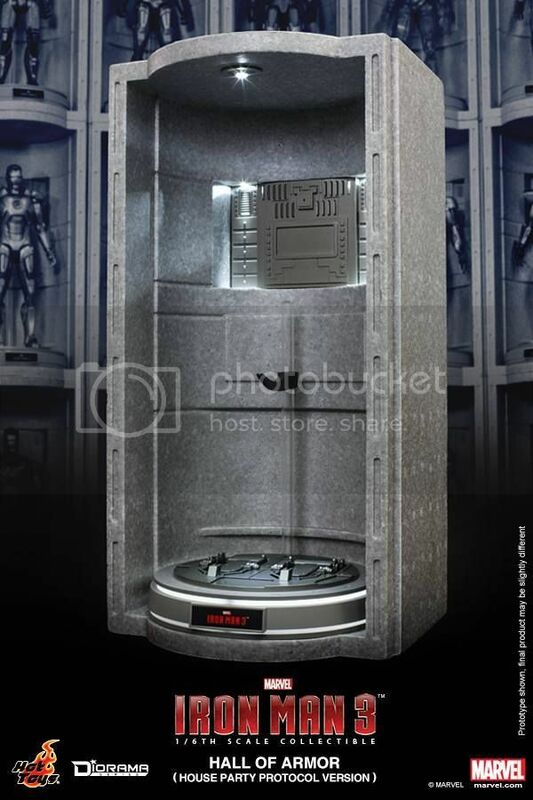 Retail price is HKD$450 ($58 USD).